I think the team will play for their manager and themselves and f**k their bitter fans, I honestly think Everton can get a result tonight, especially if they attack with conviction. Not a chance, they are going to get a pasting. Can see City running away with a 3/4 goal comfortable win. This will be easier than they had it against Arsenal, and Arsenal were a pathetic embarrassment. Well they have a chance to prove that they are not a small time club & have some degree of respect, the whole world is watching tonight & anything short of a genuine effort will reinforce the view that when Everton play, they play like a small club & best just draw your curtains & get some kip..
I’ve got myself worked up of a upset ( Everton win) or draw.. Remember when Everton beat City 4-0 2 years ago. Well that was probably the last time they will beat them for the next 40 years. Read earlier that City haven’t done the double over the Bitters for about 4/5 years. That’s going to change today. F**k sake. Of all the teams they are playing now, it has to be one of the most shocking teams going. I’d rather they were playing Newcastle again, or even Bournemouth!! I'm just not convinced it will be as easy for Citeh as all on here think. Arsenal are absolutely dreadful in defence and against Citeh were fairly crap in attack as well. I know Everton are going through a bad patch but they are capable of defending well, like they did against us, and also attacking through Richarlison and that short arsed French player they have, so if all the stars align and they want to win, which surely they must, then it can happen. If not then f**k it they temporarily go top, big woop, they then have a Chelsea team with an instantly clicking Higuaín and Hazard to contend with at the weekend which will not be easy. I’d be amazed if it’s anything less than 5-0. Some right old sad supporters Everton have.. There will be Everton fans waiting down the valley to throw things at the Everton coach as it arrives while Silva is shitting himself hoping he doesnt get sacked if they win. Let’s hope you are right. Maybe the fact they could potentially drop down to 12th if they lose and the teams below them win will act as an incentive for them. Even Silva said they are the best team playing the best football he then said I have a fiver on 5-0 for City. Everton being Everton, City score from free kick in the last minute of added time! 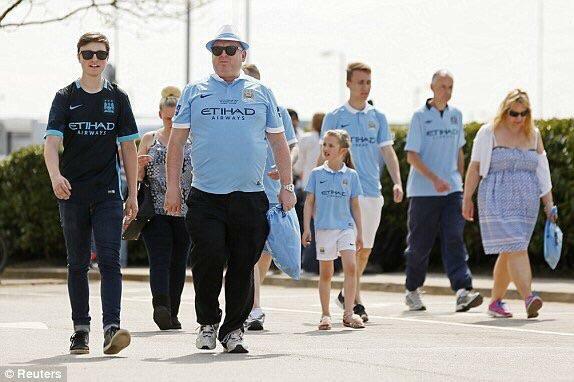 If they have a moron of a fan in smurf cap, bet tmro he will be Liverpool fan if we win the PL. Got scored against twice in stoppage time. Unfuckingbelievable! At it again today, battering a Watford fan or two. Over the moon to lose to City the other day, heads falling off because they lost to Watford... They’ve only just realised they’re in the sh*t. The gift that keeps on giving.